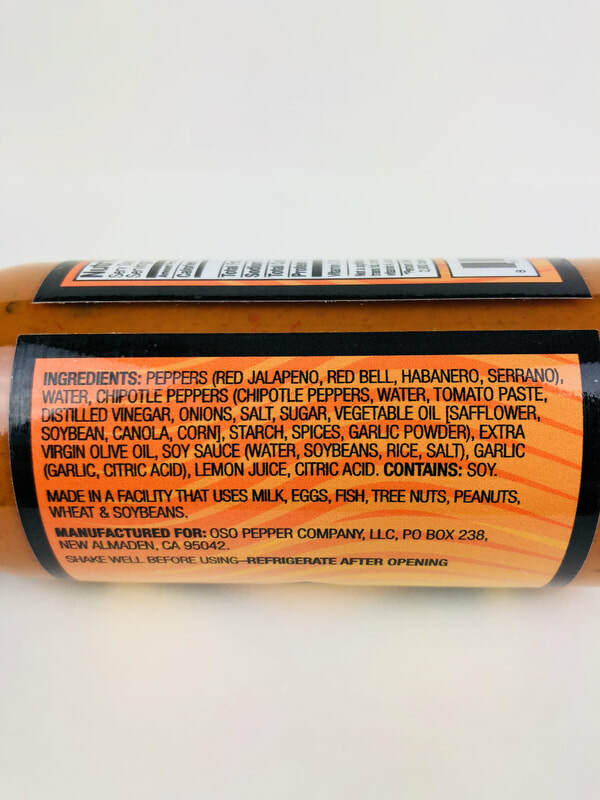 The idea for Oso Pepper Company began with the belief that a pepper sauce should convey more than just the sensation of your mouth being on fire. The flavor should convey the taste of the pepper itself. Back in 2008 when OSO began their garden, they never thought that it would grow from a hobby to a full-fledged pepper company. All they planned to do that summer was create a little garden that would provide them with a mix of fruits, vegetables, and herbs for our family’s table. Then their produce production got out of hand. It seems pepper plants are extremely prolific in the amount of fruit they produce. They were left to answer the question, what is one to do with so many pounds of peppers? With help from their mother-in-law, they decided to bottle the fruit from which their Chili Sauce and Surf Sauce were born. They were successful in our efforts. People far and wide began to send inquiries about how they could get some of our homemade sauces too. So from OSO's humble backyard garden in the late summer of 2012 sprang Oso Pepper Company. Their family thanks you for your interest in Oso Pepper Company products, and hope that you take a minute to spread the word about all their fantastic products with your friends and family. Of course, Oso Pepper Company is not just about their family. As a family-owned business, they are committed to serving their community through service and donations. OSO pepper co. donate regularly to organizations that aid individuals who have served, or are serving us and our community, such as the Fisher House Foundation and Any Airman. Contact OSO today to find out more about their home-grown recipes. OSO proudly serves customers in San Jose and throughout the state of California. 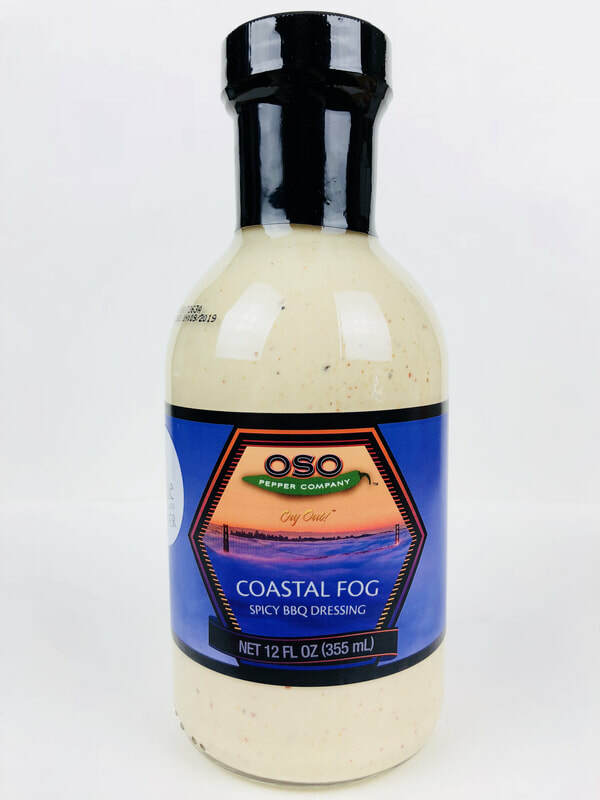 COASTAL FOOG SPICY BBQ DRESSING from OSO PEPPER COMPANY.. This is definitely more then just a BBQ sauce. 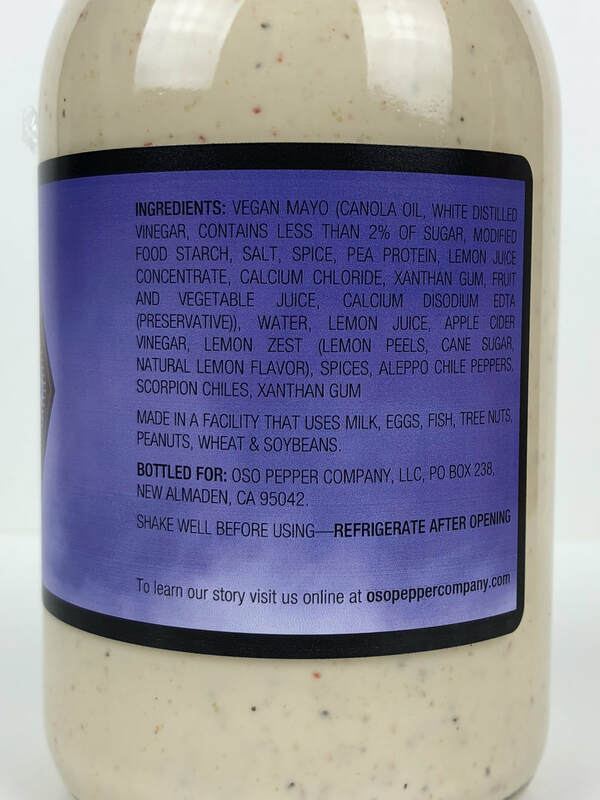 The flavor explodes on your taste buds with a creamy mayo, Meyer lemon, apple cider vinegar, lemon zest, a little cane sugar with spices and the heat from the Scorpion pepper. What a unique and awesome flavor that blew me away! This is an multi use sauce from, wings, salads, chicken, dipping sauce, fish, burgers, sandwiches and more. I'm going to use this in macaroni and tuna salad by replacing the mayo. Definitely a must try! 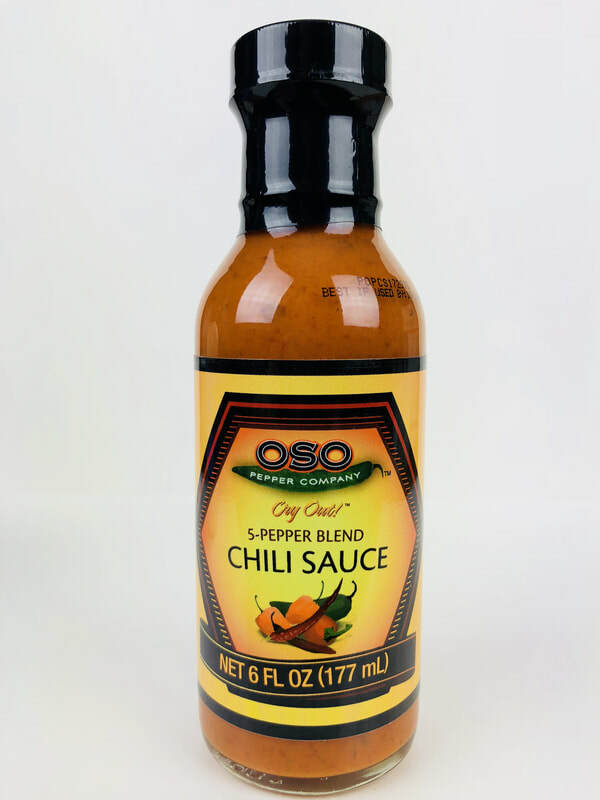 5-PEPPER BLEND CHILI SAUCE from OSO PEPPER COMPANY.. A very robust rich pepper flavor that is bursting with garlic. Habanero, Jalapeño, Serrano, Chipotle and Red Bell peppers are blended wonderfully together with tons of garlic to bring you a pepper sauce that you will love. There is a slight silkiness to the pepper mash coming from the addition of vegetable oil and a smoky overtone from the chipotle peppers. The heat in this sauce starts out mild but then continues to warm up without being over the top to take away from its flavor. This is a great wing sauce, taco, chicken, mixed into mashed potatoes, deviled eggs and more. Just pour it on and enjoy its flavor. Great job OSO!